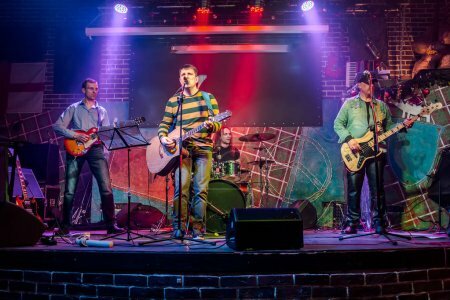 Фотобанк Rusmediabank – лицензионные Фото, Видео, Музыка - Band performs on stage, rock music concert in a nightclub. Authentic shooting with high iso in challenging lighting conditions. A little bit grain and blurred motion effects.